As all of you know, I have been continuously traveling this year. It has been one mad trip one after the other and I have had no time to properly process this year. That is why I thoroughly enjoyed my time aboard a Spice Routes luxury houseboat in Kerala last week. It was refreshing and sometimes, you definitely need to step back and relax. And when you top it off with so much luxury, you know you will come back feeling rejuvenated. 1.1 Is a Luxury houseboat in Kerala worth it? 1.2 Where do you find Luxury houseboats in Kerala? 1.5.2.1 Is Air conditioning actually required on a houseboat? Even though my parents are originally from Kerala, India, I haven’t traveled much inside Kerala for a really long time. I do make a couple of trips to Kerala every year but those are mainly to attend family functions. Maybe that is why I keep forgetting why Kerala is called ‘God’s own country’. If you have ever been to Kerala, then you know what I am talking about. It is so easy to get lost in the beauty of it all. From the gorgeous Kovalam beaches to the sprawling tea estates in Munnar, I thought I had experienced it all. But then Kerala has this habit of surprising you and that is exactly what happened on this trip. Is a Luxury houseboat in Kerala worth it? Yes, definitely in my opinion. I will try to answer why in this blog post. But it is definitely something I would recommend for my readers to try out at least once in their life. 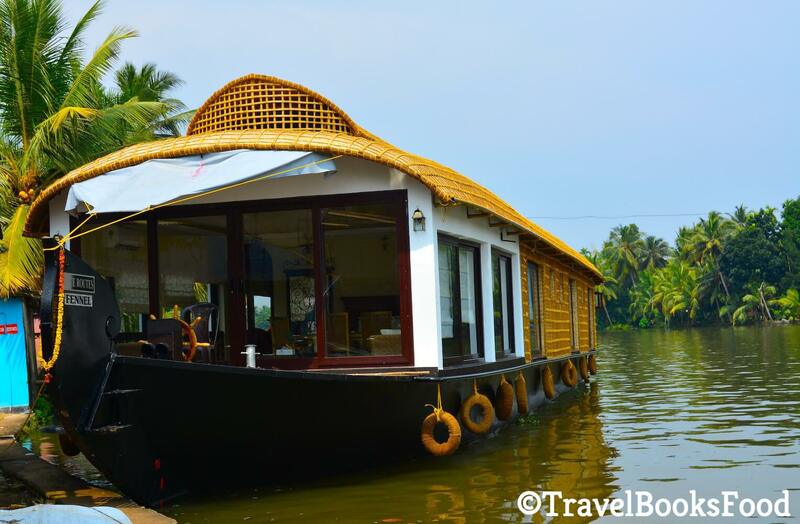 Where do you find Luxury houseboats in Kerala? Houseboats in Kerala are usually concentrated around the Kerala backwaters. 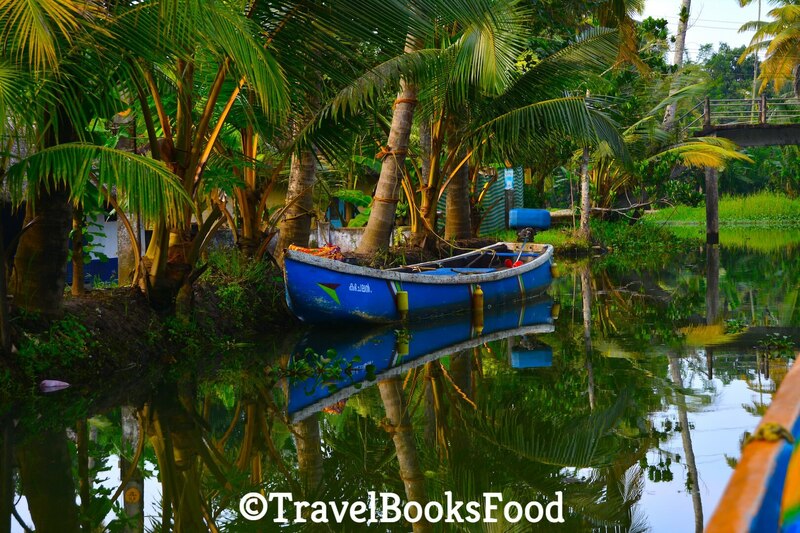 Kerala backwaters mainly comprise of 5 large lakes, various lagoons, and canals (both artificial and natural). As per the estimate, there are around 2000 houseboats plying on Kerala backwaters. 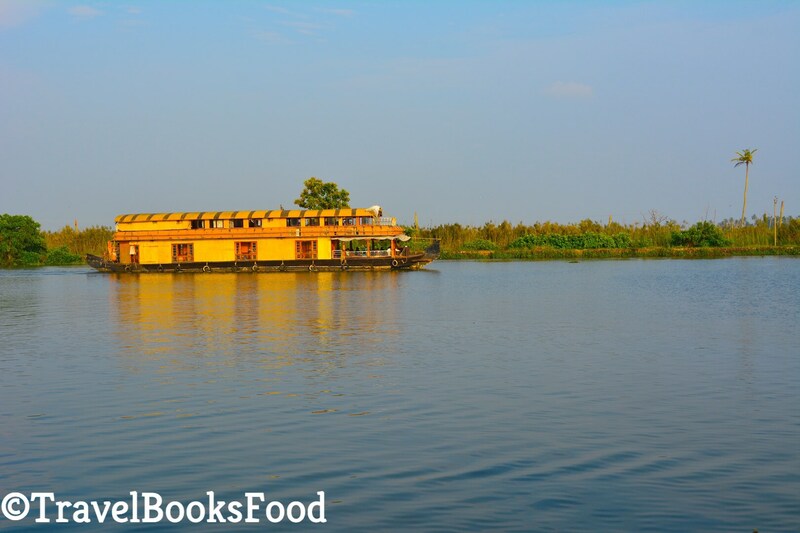 Trivia: Did you know that Kerala Houseboats are called ‘Kettuvallams’ in Malayalam? They were used in ancient days to transport grains and spices around the backwaters. These days, they are mainly used for holidaying and touristic purposes. Spice routes Luxury cruises offer premium luxury houseboats in Kerala. 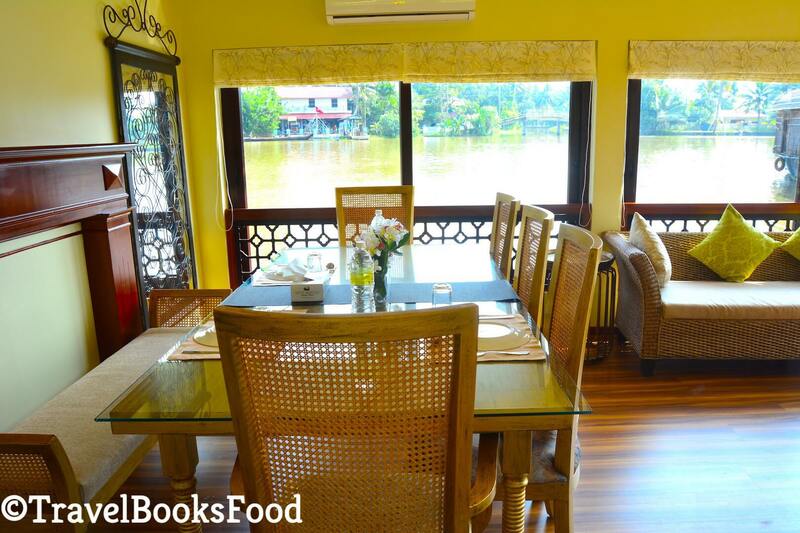 They have a fleet of 7 houseboats and each of them caters to the luxury traveler in you. All 7 houseboats are named after the exotic spices of Kerala. We had the good fortune of staying in the latest addition to the fleet, Fennel. Fennel is a three bedroom luxury houseboat complete with all modern amenities. Clove and Cinnamon are super luxury houseboats with three spacious bedrooms and are suitable for small groups. Pepper, on the other hand, has 2 spacious rooms and is ideal for small nuclear families. Cardamom is a premium houseboat and is perfect for larger groups. 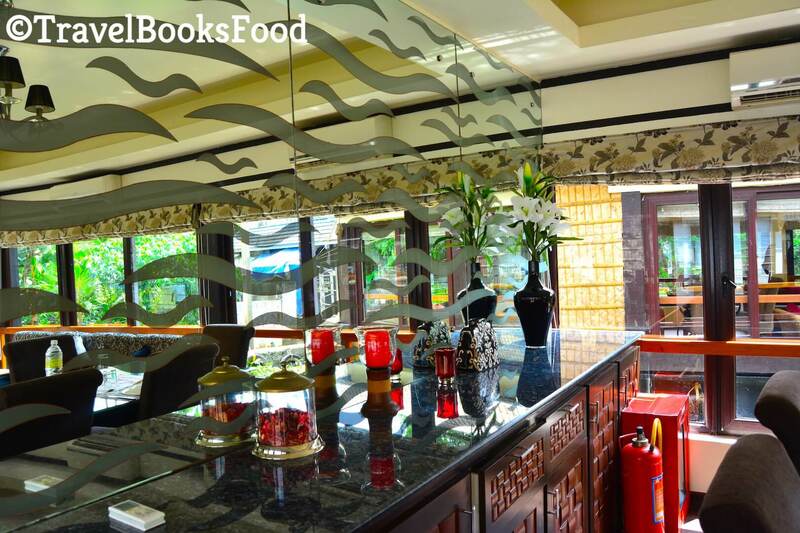 But the one that takes the cake is Saffron, the presidential suite on Kerala backwaters. This is ideal for honeymooners and comes with a personal butler, upper deck dining rooms, a private Jacuzzi and so many other features. All houseboats come with a minimum of three staff: a captain, assistant and a cook all ready to cater to your whims and fancies. After all, isn’t that what luxury experiences are all about. Also, all Spice routes luxury houseboats are fully airconditioned and equipped with a standalone generator. Check out latest prices and reviews below. All houseboats begin and end their journey at Akkarakalam Memoirs property. 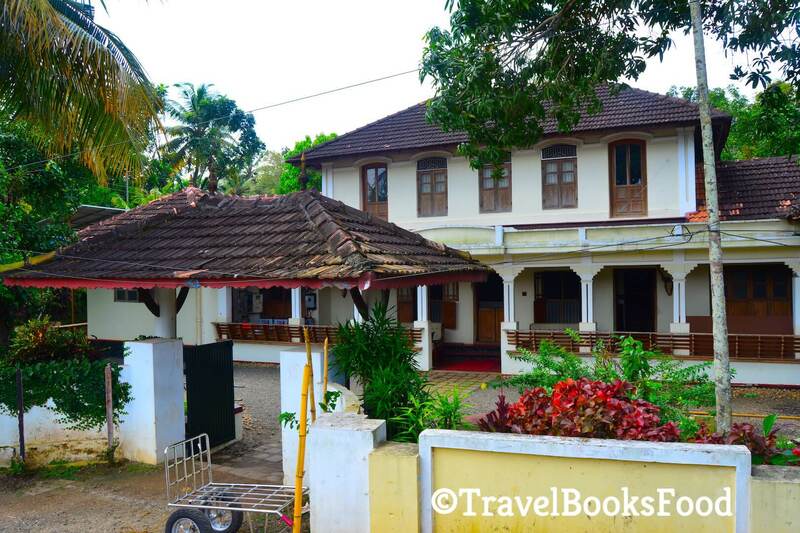 This is conveniently situated around 20 kms from Alleppey bus/train station and you can easily hail a cab from the bus or train station in Allepey. The nearest international airport is Cochin International Airport and is approximately 90kms from here. It takes around 2.5-3 hours from the airport depending on the road conditions and traffic. Alternatively, for an additional fee, Spice routes gives you an option to transfer to/from any place in Kerala. This was very convenient and we did not have to deal with arranging this aspect of our journey. As luxury travelers. all of us know that the key to making any luxury stay memorable is the small things that go with it. Most of the things are taken for granted by us. But when subconsciously they fulfil all your unwritten checkboxes, you know that this luxury experience will remain etched in memory for a long time. That is why I would love to commend Spice routes for making this experience memorable for all of us. We were quite famished by the time we reached on a Saturday morning. It was a long journey for us from Bangalore. But the warm reception at the houseboat was something that touched a nerve and all the exhaustion from the long journey was immediately gone in seconds. They were so cordial and friendly and willing to answer our never-ending questions. This was accompanied by flower garlands and welcome drinks which is typical of any luxury property. I have been in houseboats before. But this one just blew me away with the ambience. 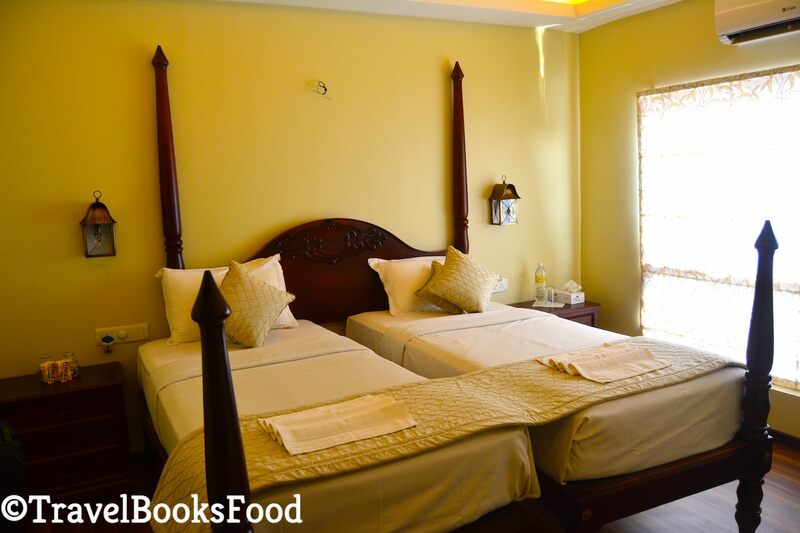 All three rooms were spacious and fully equipped with modern amenities. The washrooms were equally spacious and it came with Spice Routes own handcrafted toiletries. Each bedside table was filled with a range of goodies for us to choose from. The kitchen was at the back of the houseboat. The kitchen was huge as well and for a moment you would not realize that you were actually on a houseboat. The dining/drawing room was equally spacious. Everything was spanking clean and this is something that is quite important to me. The entire houseboat was fully airconditioned and this definitely added to the experience. Is Air conditioning actually required on a houseboat? I am not sure about you but I am someone who is allergic to the climate of Kerala. No offense to the place. The humidity makes all my allergens come out in full force and most of the time by the end of my stay in Kerala, I am in tears. Not really crying but my allergies make my eyes watery with a runny nose. So how do I prevent getting sick in Kerala? To stay as cool as possible when I am in Kerala. Even though we went in November, it was still humid and hot for my taste. Hence, I loved the full-time airconditioning of the houseboat. Also, if you have decided to have a luxury experience, why would you like to spend it being hot and humid? Fact: Full-time Airconditioning means that you get to keep the deadly mosquitoes out too. As a vegetarian foodie, many people expected that I will not have many options to eat when I am in Kerala. After all, Kerala is mainly a non-vegetarian foodie’s heaven. But this is where most of the people are wrong. As someone who was born into a vegetarian Kerala family, I have grown up eating so many Kerala veg delicacies. Also, having a personal chef at your whims and fancies, you can rest assured that you will have some lip-smacking vegetarian food. When they started the trip with my favorite Kerala breakfast Puttu/Kadala, I knew that I was in for a treat. All my travel companions were also greatly impressed with the many choices available, both vegetarian and non-vegetarian. All houseboats usually circle along the Vembanad lake and the various lagoons surrounding it. Cruising is only allowed until 6 PM and post that, all houseboats have to dock at a convenient location. On our first day of cruising, we docked at the R-block and we spent the night gently rocked to sleep by the harmony of the backwaters. The whole experience is mesmerizing and you slowly fall in love with the laidback way of life. Since mobile connectivity was a distant dream during most part of our cruising experience, we finally had the choice to unplug and enjoy the company of our travel companions. This is so crucial in today’s world and by being disconnected, I was able to be content in my own world. But for me, the favorite part of the whole journey were the sunsets and sunrises. They were gorgeous and definitely cannot be described in words. You will have to be there to experience it. Many people asked me if you didn’t find the whole experience to be boring. But how can it be? We did so many things during our two days in the houseboat and we did not know how time even flew by. We visited so many areas during our two days cruising around the Kerala backwaters and we had a gala time. We ended up visiting a temple, church, local artisans. We also visited a local toddy shop. We also ended up hiring a small canoe boat to take us to places which were not accessible by the bigger houseboat. 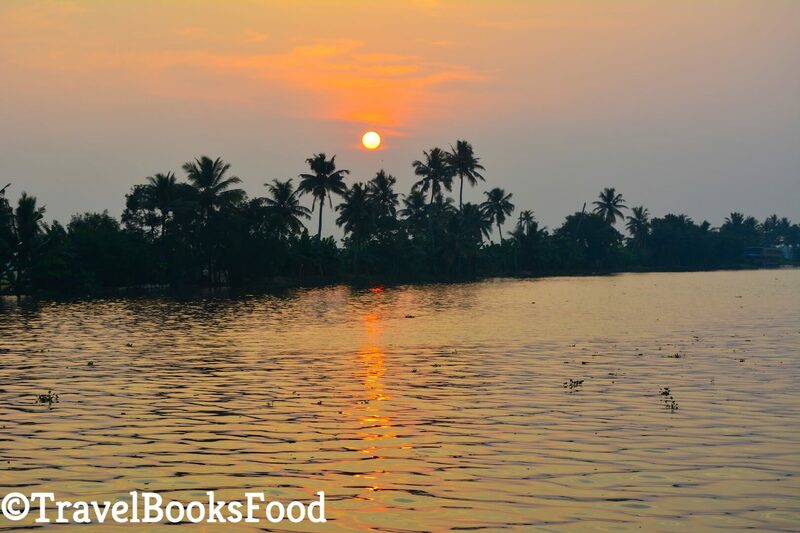 As we rowed among the villages of Alappuzha, we were mesmerized by the way of life in that part of the world. Everything was so simple and wish life wasn’t too complicated for us. They were all so cordial and friendly. And they made sure that they accommodated every single silly request of ours. Since I was the official translator of the group, I definitely need to give a special mention about our captain, Shashi. All of them were always smiling and they even gave us a demo cooking session. This was the part that I loved most about Spice routes. As someone who is slowly trying her best to be a responsible traveller, it definitely made a difference that a property was doing their best to be environment-friendly. They have an in-place waste management system and they generate their own fertilizers which are used around the Akkarakalam Memoirs property. Soon, we were on our way to Thekkady. 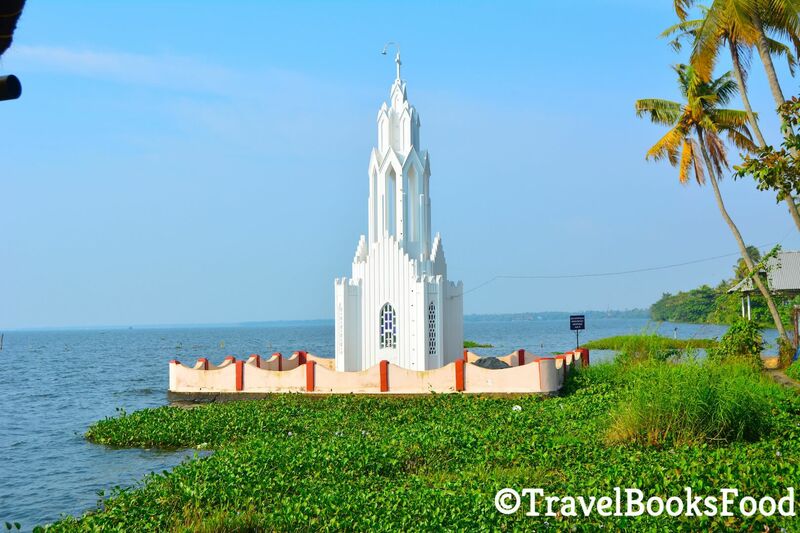 I loved my time cruising along the Kerala backwaters in a Spice Route Luxury cruise. I would definitely recommend it to all my readers. Also, it wouldn’t have been so much fun without our fun gang. Missing all of them so much now. So do shoot me your questions in the comment section below. Disclaimer: I was invited by Spice Routes to experience their luxury cruises. As always, all opinions are my own and all of you know that I wouldn’t recommend something that I don’t love. I love the pictures and formatting of the article. Never seen such a detailed review! Your article on luxury cruise boat is worth reading. I have experienced this and the local dishes served by the crew is excellent. The image of the church surrounded by water is mesmeric. Thanks. What a wonderful experience you’ve had! You’ve made me want to go to Kerala and spend a few nights on a houseboat as well. Waking up and looking at the window, to see the lake only, must be so serene. 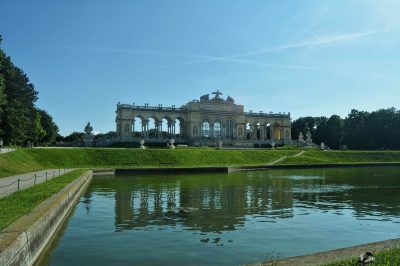 I enjoyed discovering a destination I didn’t know thanks to your post. And you may have changed my life: mosquitoes don’t like aircon?!?! Brilliant Soumya! I know darn well why Kerala is God’s Own Country. But I had to miss the house boat thingee which was tough, because I got really sick when in Muhamma. I did see the beauty in the region though and when I felt better, goodness did I love Kovalam, doing the beach bit daily. Kerala is gorgeous. So much beauty. The people are genuinely friendly and the pace of life is slow. Nice photos and detailed experience of the trip was awesome. What was the cost? Hi Kaushik, the cost varies from boat to boat. It varies from Rs 28,000 + taxes per night for a one bedroom to 70,000+ taxes for a 6 bedroom per night. If you don’t want to stay the night, the rates vary for a day cruising and is approximately half the cost. You can find more details on the Spice Routes website. What a truly wonderful experience this would have been! The houseboat idea for relaxation is such a great idea for a really different holiday. When this is also done in a region like Kerala, it makes it all the more special. I totally agree with your statement about sunsets here…you really took some fabulous photos and I definitely want to book this experience for myself one day. This is the second post on these houseboats I’ve seen, so they must be good! The day trips sound great, and an ideal way to see a local way of life. Your photos are great, and I love that little white church! I can’t believe how spacious all three rooms were! What a great way to travel and see the Kerala backwaters. When we (eventually) make it there, we’re definitely going to book onto one of these! Also the photos look amazing. 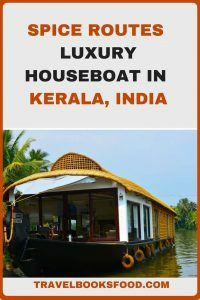 I’ve read a lot about the house boats of Kerala, and would love to organize the experience one day, though these are definitely the most luxury house boats I’ve seen! The spaces are so modern and organized! It’s fabulous to know that they’re decked out with air conditioning – I actually hadn’t thought of that, but would definitely come in handy with the humidity! This is actually the second blog post I’ve stumbled across this week about Spice Routes Luxury Houseboats so I think it’s a sign that I need to organize a trip soon! 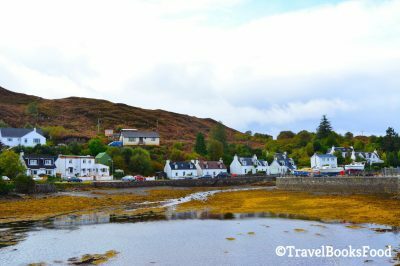 I love that there are day trips built into the cruise – can be a laid back cruise but still get your sense of exploration and adventure as you visit local regions. And it’s fabulous to back a company which has such a commitment to ecotourism. Can’t wait to plan a trip for 2018! It’s interesting to read about what a houseboats original purpose was! I hear so much about hiring a houseboat in Kerala, I know where it came from now. Spice Routes seems to be a good company for organizing a houseboat trip. I agree that making transfers with them will cut out a lot of hassle and bargaining before and after the trip. Wow, this seems like the perfect travel experience to get to unwind, but still see so much! I’ve never heard of this company before, but I’m definitely interested. I really appreciate their efforts at being eco-friendly as well – I’m trying to become more responsible every trip too! Hi Lisa, the cost varies from boat to boat. It varies from Rs 28,000 + taxes per night for a one bedroom to Rs70,000+ taxes for a 6 bedroom per night. If you don’t want to stay the night, the rates vary for a day cruising and are approximately half the cost. You can find more details on the Spice Routes website. I had no idea these even existed! I never really considered a houseboat before because I didn’t think they were this luxurious. Time to start thinking about a whole different kind of trip now! In Kerala tourists always choose boating to enjoy the beauty of backwaters.Many homestays are also there to provide these facilities. This is the first time that I have heard of something like this. I have never been on a cruise so this is probably the next best thing to one. Plus, the views you get to enjoy are quite amazing too! I saw you tweet about travel and I thought I’d checkout your website. Looks like Soumya has come a long way. Keep up the good work. The houseboat looks quite clean and very luxurious. 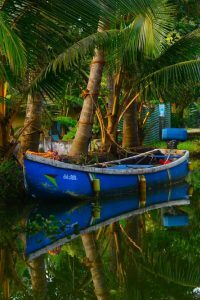 That frankly, is the main consideration that people have to take into account for houseboats in Kerala for some of them are so not well maintained. Alleppey got me so nostalgic about my own trips there – it is fun just gazing out at the horizon and watching life around. 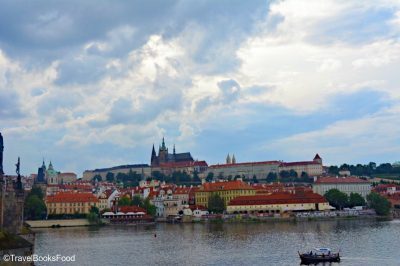 The water taxis, the school boats and did you get to see duck farming? I have done day cruising in backwaters of Kerala but never stayed in houseboats in Kerala. 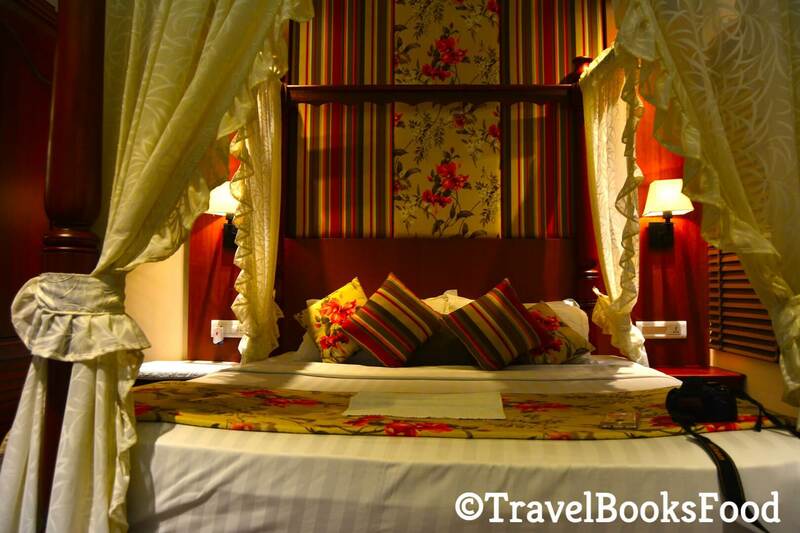 Your stay looks wonderful with vintage styled bed and living area with a view of waters. 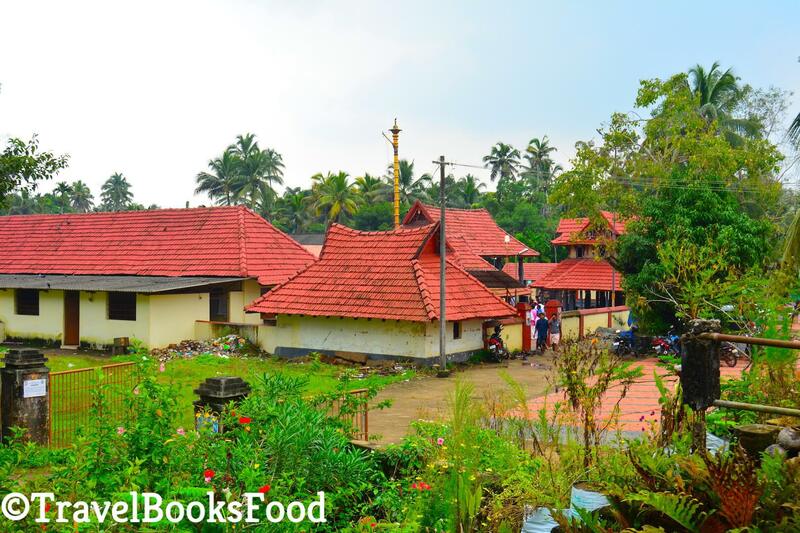 Day excursions to Kerala villages must be great to know the local culture. I am also vegetarian and hopefully like you I will also get my stuff. But you are correct, Kerala is heaven for sea food lovers. I loved your sunset shot. Great tips on house boat journey in Kerala. what a nice experience you have in kerala. The pic of Houseboat was like villa in between of water . Great article. I really enjoyed. This is such a luxurious one. Definitely, I have to experience Houseboat in Kerala.